Too often, talented people wait for new roles and responsibilities that never appear. That’s why MHI’s Young Professionals Network is bringing you webinar, Taking Charge of Your Career on June 7th with business management consultant, Marilyn Sherman. Using specific examples of how others have moved up their company ladder and created a more rewarding career, Marilyn Sherman will inspire you to be more accountable for your success and job opportunities. After this session, you will be prepared to ask for what you want and be more assertive in your career path. Marilyn Sherman is dedicated to training people to let go of obstacles and live and work with courage, commitment, and confidence. 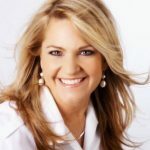 For the last 22 years, she has motivated audiences all over the country, and internationally with topics about hope, inspiration, and practical tools to implement immediately. Marilyn is known for giving people success strategies to overcome obstacles, have a more positive mindset, and reduce conflict in the workplace. She is a graduate of Washington State University and is currently an Artist in Residence for High Point University. Her first job in corporate America was with a finance company who saw her management potential early on and put her into a 18-month accelerated management program. She eventually became a training officer for that company writing and delivering their leadership training.